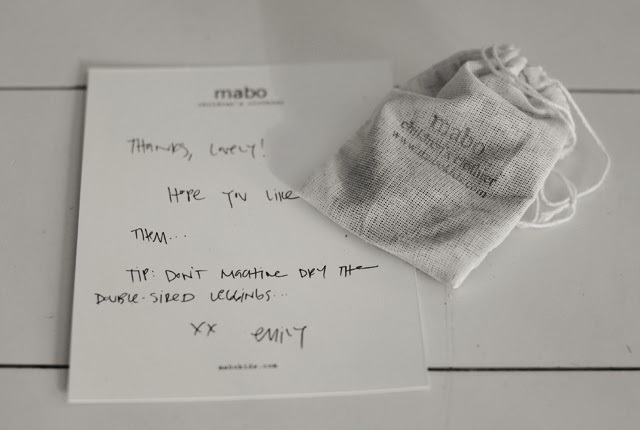 Just got a beautiful package from the lovely Emily over at Mabo Kids. 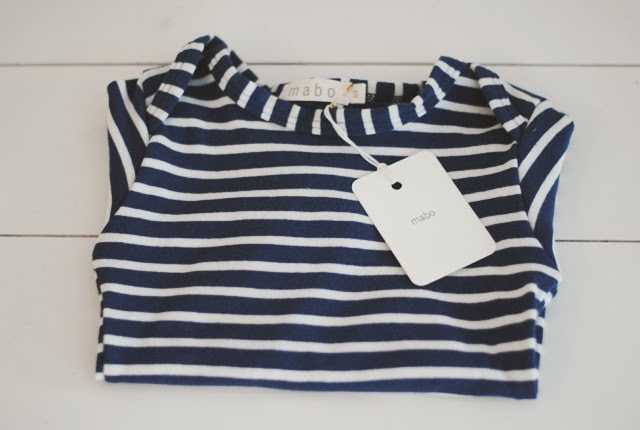 Mabo Kids is known for their classic designs and use of quality fabrics. 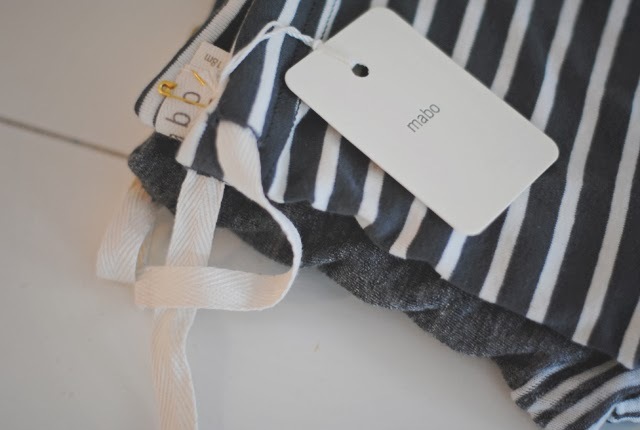 Their beautiful use of stripes has become the reason I was first drawn to this made in the USA label, but the drawstrings on their pants are probably what will keep me coming back for more! I love the fit of their clothes and the cozy feel of the fabrics. Simple statements with a touch of charm is the way I would describe this beautiful line. I adore this brand! I have been eyeing the leggings for quite some time- they are just classic!